Together with ASCOTT, the world market leader for Humidity and Corrosion Test Chambers, we will participate on the European Coating Show in Nuremberg from 19th to 21th of March 2019. We would like to invite you to visit our booth 5-223 in hall 5 and demonstrate you our latest generations of test instruments. This year the 33. Control will start from 7th to 10th of May on the exhibition center in Stuttgart. 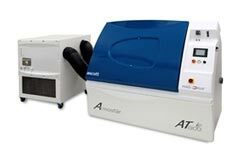 Next to the latest generation of corrosion test chamber from ASCOTT, the world market leader for Saltspray and Climate Test Chambers, we will also exhibit the wide range of moisture analyzer, balaces and scales from SHIMADZU. 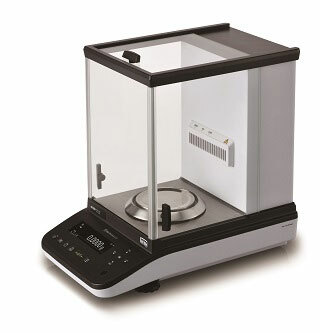 As a highlight we will also show the first time, the new semi-micro and analytical balances of the AP-series, one of the fastest balance in the world from Shimadzu. We would like to welcome you on our booth 4517 in hall 4. Distributors are welcome, too. For more than 25 years, ASCOTT has been a leading specialist in the development and manufacture of innovative and high-quality for corrosion and cyclic corrosion test chambers. In order to be even closer to its customers, ASCOTT strengthens its presence in Germany as well. As a partner company of ASCOTT, we are always at your disposal for all questions concerning planning, new acquisition, installation or operation. Of course, we are also your direct contact for sustainable matters such as maintenance, service and ordering spare parts. The new top model Atmosfär AT-ip test chamber complies with all current standards and regulations and is also suitable for modified test requirements, for example from Ford and Volvo, thanks to its numerous innovative solutions. We are very pleased to inform you, that SHIMADZU BALANCE DEPARTMENT will celebrate its 100 years anniversary as a manufacturer of balances. Founded 1875 as a dealer for laboratory equipment, the founder Genzo Shimadzu noticed very quickly the demand of high-precision balances and started its own production finally in 1918. As a typically japanese manufacturer, Shimadzu´s main focus is related to high-performance products with a superior quality and a lasting durability next to a continuously improvement of the products. 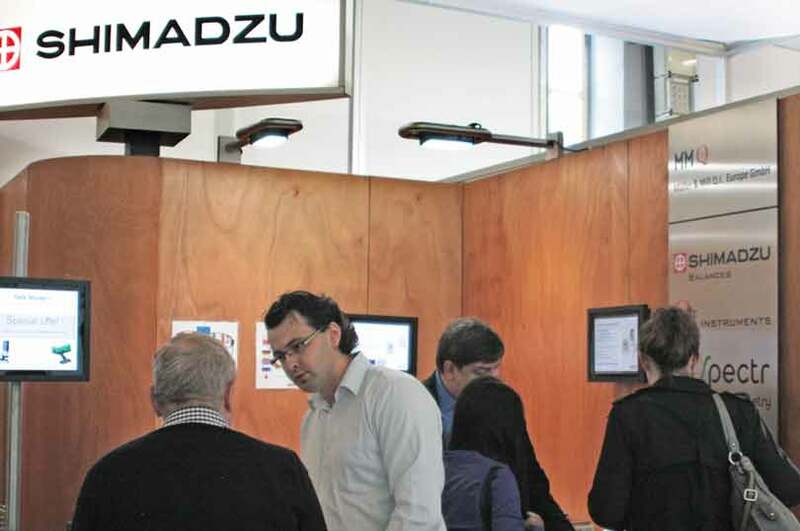 Since that time many innovations from Shimadzu could be embed in the balances, for example one of the first digital balance and the innovative UniBloc technology. We are pleased to inform you, that Shimadzu has released the AP Series — Advanced Performance UniBloc Balances. We are pleased to inform you, that MMQ signed a contract with the company LaborTech to become the Western european distributor for LaborTech products. LaborTech is since more than 20 years a famous manufacturer of a wide range of testing machines, such as tensile & compression tester, dynamic testing machines, torsion tester, balancing testers, pendulum impact tester and many more. 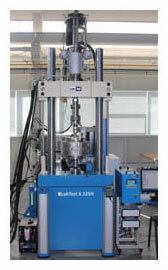 Next to a comprehensive range of universal testing machines for each kind of applications in research and development, LaborTech is specialized in designing and manufacturing tailor-made solutions of automated and non-automated machines for material and product testing in industries and production lines. Olympus released its new microscope CX23 mainly dedicated for education and standard applications. Equipped with high quality objectives and oculars the CX23 provides a field number of 20, which is one of the highest in that class. The powerful LED lamps, the rigid construction and the large number of useful function makes the CX23 to a cost-effective and reliable microscope. The ACHEMA 2015 now closed their doors. We would like to thank everybody for taking time to visit our booth and for the fruitful discussions. It was a great pleasure to welcome you. Did you forgot to ask us something or did we missed some topics together ? Please feel free to contact us directly! We are looking forward to hear from you. We are going to take part in ACHEMA – World Forum and 31. Leading Show for the process Industries — between June 15–19.2015, Frankfurt am Main, Germany. Müller & Mill Quality Instruments Europe GmbH is the main distributor for balances of Shimadzu Corp. Japan in Europe. 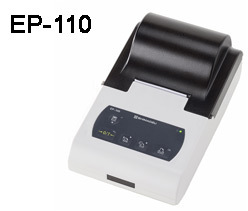 Next to the balances we are offering a wide range of scales, laboratory instruments and Raman spectrometers. Visit us in hall 4.2, stand A36 and discuss with us about your demands. Welcome the new and old customers to visit at the fair at the moment!